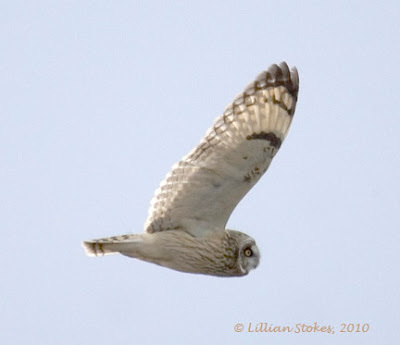 The Short-eared Owl is one of my favorite owls. 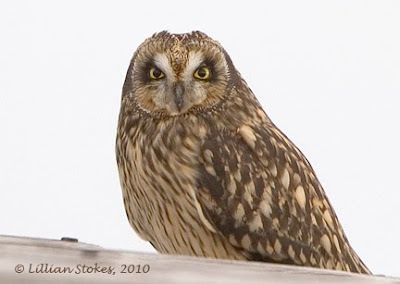 This medium-sized owl lives in open habitats, such as tundra, grasslands, fields, marshes, prairies and savannas, where it hunts small mammals. 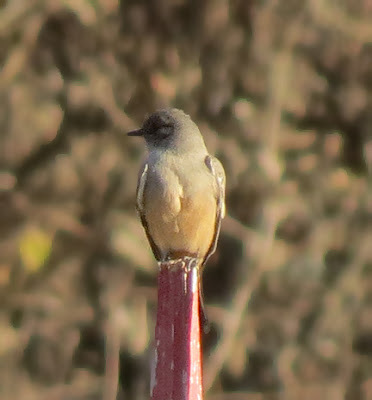 It breeds mostly in the far North and parts of the West and can be seen in winter in many parts of the country. 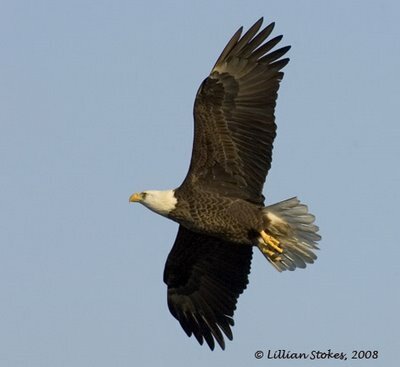 I saw this one on Christmas several years ago in the marshes of Salisbury Beach, MA. 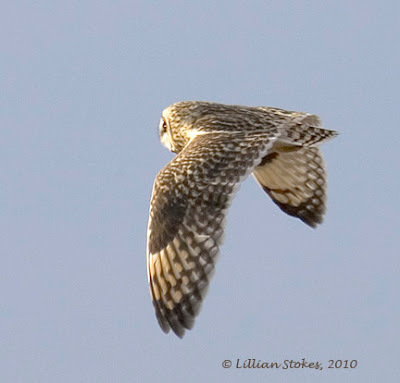 It mostly hunts at night, sometimes during the day. I was lucky, it was out, and gave me photo ops. 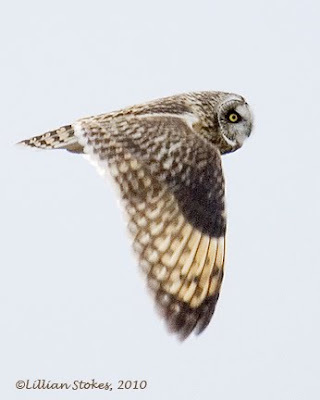 This owl flies erratically, like a moth, and courses low over the ground, so photographing it in flight was a challenge (as usual!) I was thrilled to get some photos. 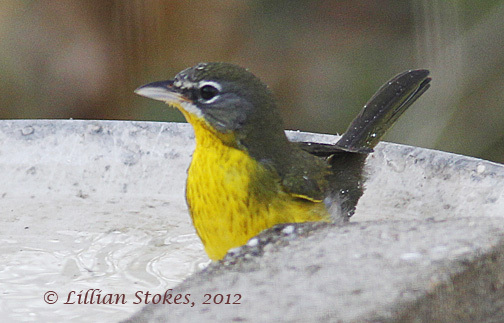 One of the wonderful things I love about capturing a bird in a photo, is that you get to keep and cherish that moment. You can look at it again and again, re-experiencing the adventure, and share it, as I have done today, with others. 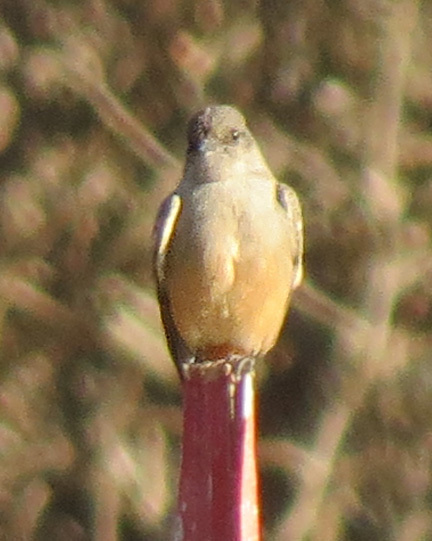 Say's Phoebe, First State Record for NH! behind the other side of the buildings and the chain link fence. Don is looking for it. 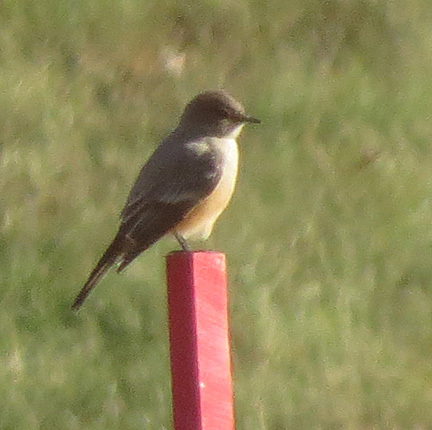 Just got back from seeing New Hampshire's first state record of a Say's Phoebe, a bird from the West, far out of it's usual range here in NH. It was found by Chris Borg at the Penacook, NH wastewater treatment plant. Pardon the photos, when we got there it had flown farther back into the wastewater treatment plant, too far for decent photos with my usual high end Canon gear which I had with me. 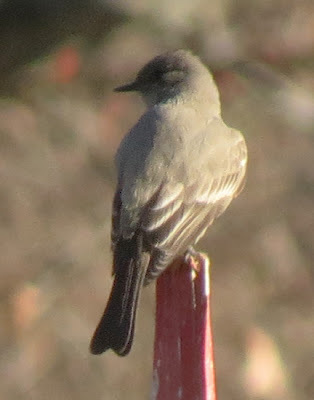 So I did what I could with the Canon SX 40 HS camera, the little superzoom point-and-shoot which zooms out and can magnify things up to 140x, albeit with grainy photos at that distance. In this case having that camera with me meant the difference between getting less than ideal record shots, or no photos at all. It was a very cool little bird to see. 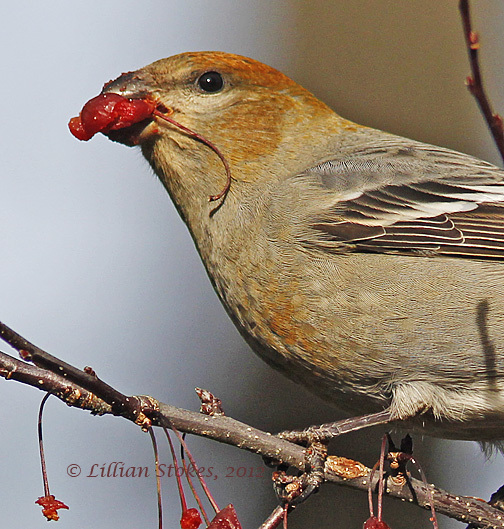 Pine Grosbeaks, plus video, Wow! 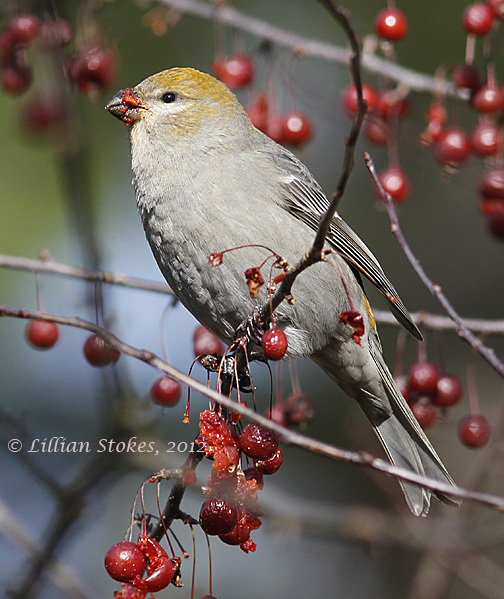 For most of yesterday we had two female Pine Grosbeaks (the males are mostly red) hanging out in our "Prairie Fire" crabapple trees chowing down. I was amazed how many apples they ate and they seemed to continuously eat for most of the afternoon, like a kid going through the Halloween candy. They were really very tame, not at all bothered by us or the Corgis who ran under the trees. The hardest part of photographing them was to get a clear show through the tangle of apple branches and also to every get a photo of them without applesauce covering their bill! 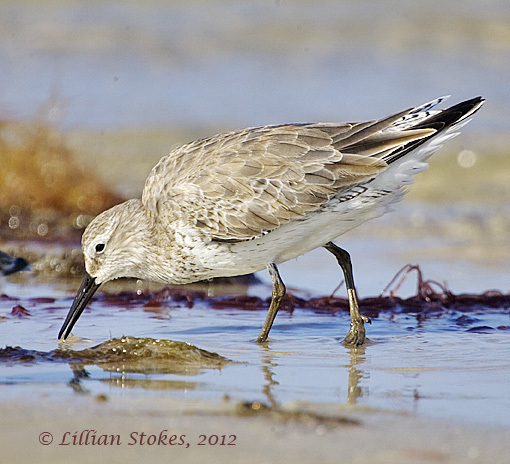 This is a more northern species who usually is found throughout Canada and up into AK. 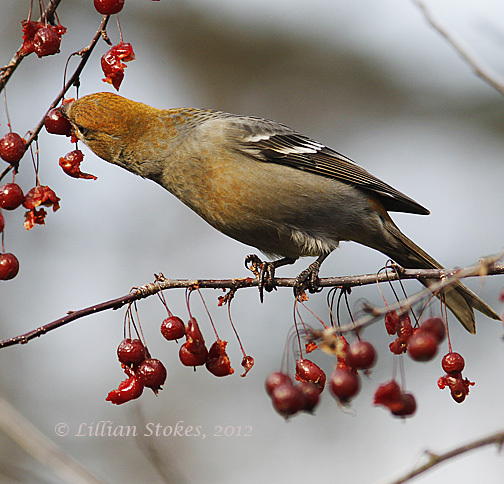 In irruptive years, such as this one, when so many northern species are coming down into the U.S. due to lack of food in their usual area, Pine Grosbeaks can join the exodus. 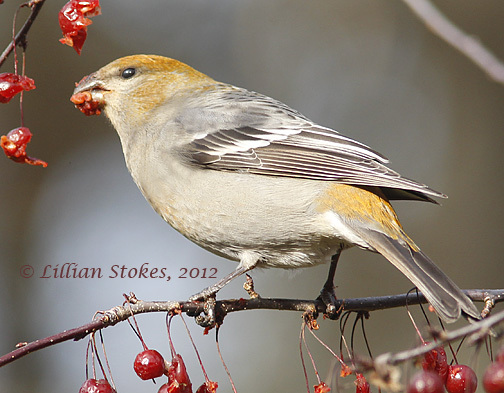 Pine Grosbeaks are now being reported from numerous locations around our state of NH. 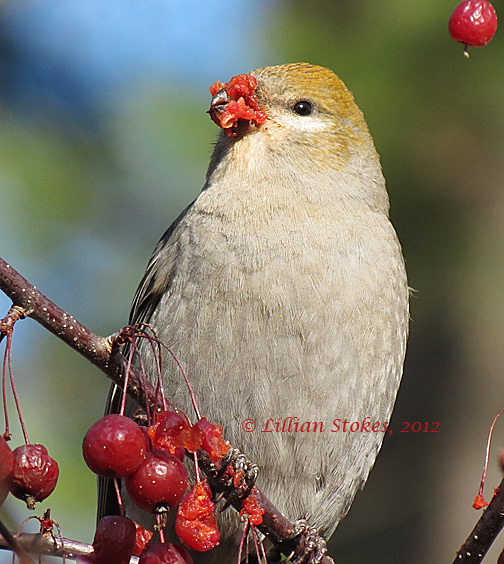 Thus far this fall we have had these irruptive species visit our yard; Pine Siskins, Common Redpolls, Purple Finches, Red-breasted Nuthatches, White-winged Crossbills, and no, Pine Grosbeaks. 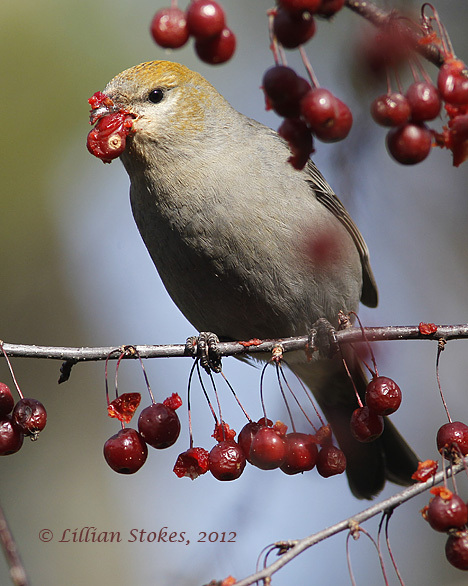 We try hard to landscape our property for the birds, using lots of berry and food producing shrubs and trees. It pays off when we get to see such a beautiful species. Let us know if you see any. 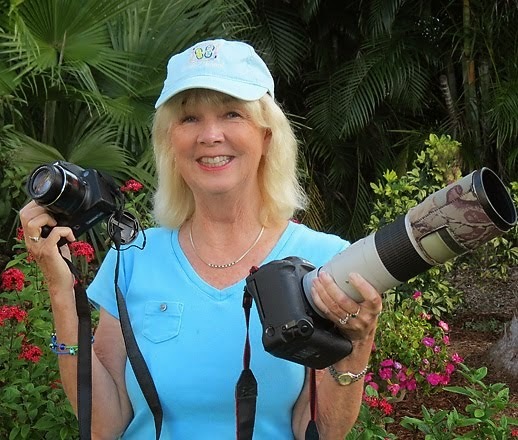 Video (handheld) and photo number two shot with the Canon SX HS, the rest with my Canon 1D Mark IV. 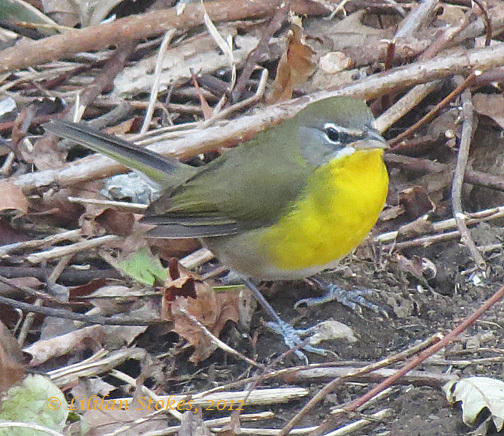 There's a Yellow-breasted Chat in New Hampshire, a surprise bird, out of it's usual range. 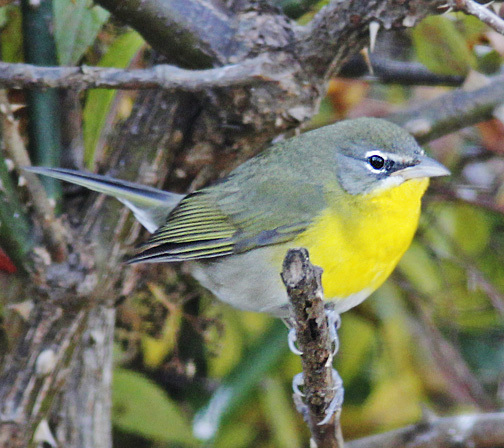 We went to see this cool warbler Sun., in the backyard of some birders lucky enough to have this avian celebrity. 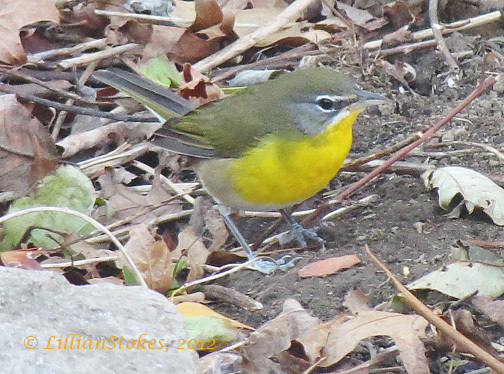 Yellow-breasted Chat is classified with warblers, but it doesn't seem like a warbler. 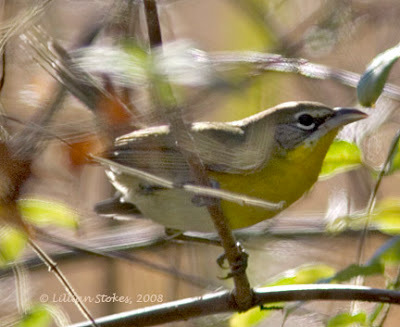 It's big and slow and large-billed compared to tiny, hyper, delicate warblers. The backyard had just what Chats like, lots of tangled growth of brambles and shrubs to hang out in. The Chat was being pampered with oranges and dried mealworms, which she scampered out happily to consume. 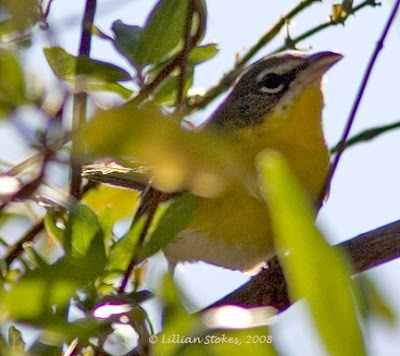 This NH Yellow-breasted Chat is a female (the male has black lores with black bill and gray lower base to bill, female has gray lores and brownish bill with yellowish-pink base to lower mandible.) 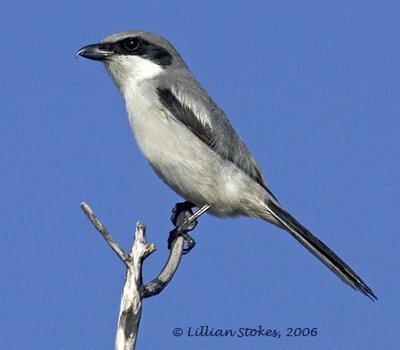 She is the virens subspecies which occurs from e. SD-e. TX and east and these birds have a white moustachial stripe that is small and narrow and stops below the eye. 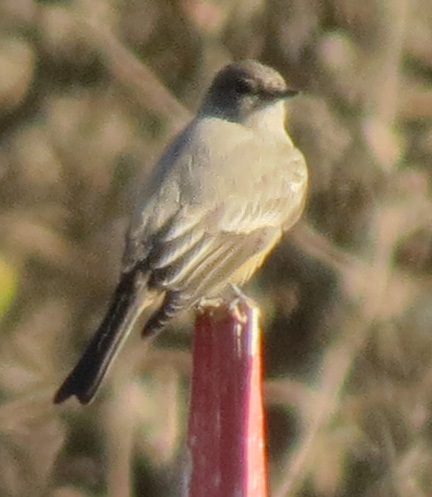 Below are photos of a bird I photographed in GA in winter and it is the auricollis subspecies which occurs from s. SK-w. TX and west, vag. to GA and has a white moustachial stripe that is large and white and extends to behind eye. Red-breasted Nuthatches are irrupting too! Are you seeing them? 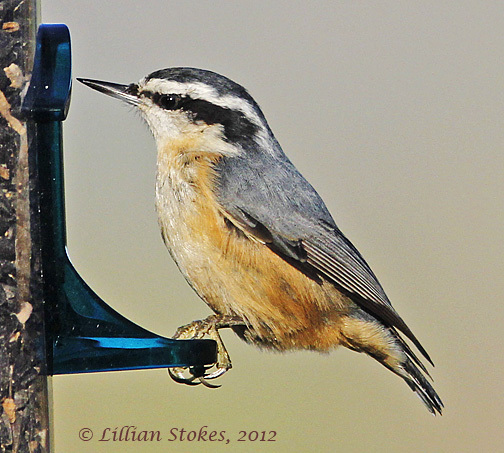 Another bird we are getting at our feeders is Red-breasted Nuthatch. Very cute bird! 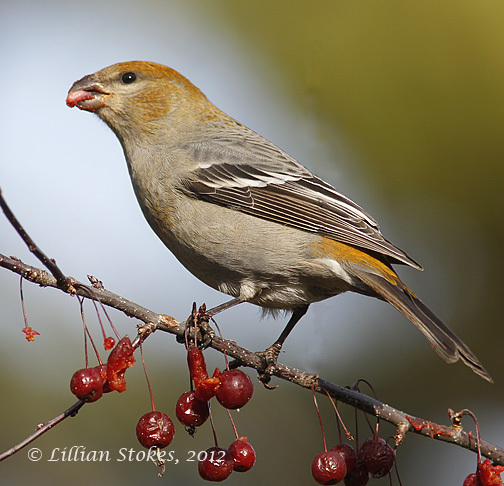 We are hearing reports that they are being seen far down from their usual winter range, a sign that they, like Pine Siskins, Evening Grosbeak,s and others, are irrupting, or leaving their usual winter range because of food scarcity there. 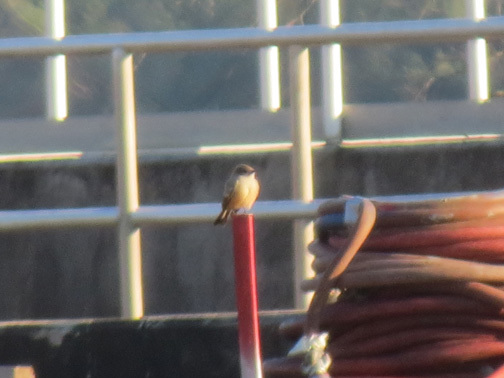 We are in the permanent range of this bird, so we do see them regularly, but we heard from birders that they are being seen as far south as GA. Though I would share these photos. 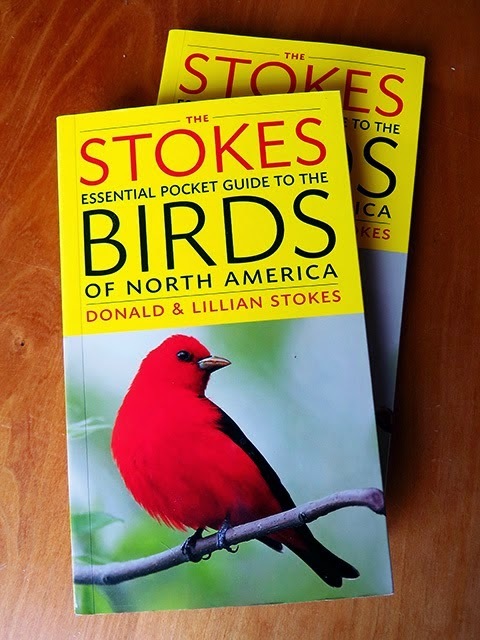 For information on where to see the most updated winter, summer, year-round ranges and migration routes of all the bird species see our new The Stokes Field Guide to the Birds of North America. 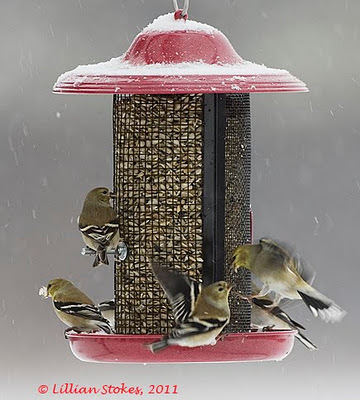 Video of Birds At Suet in Snowstorm Athena, cool! 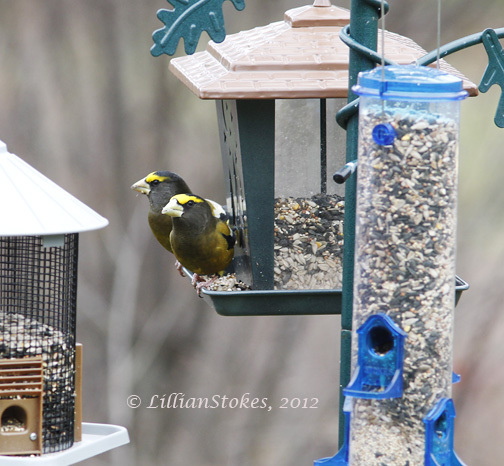 Snowstorm Athena is here today in NH and the birds are chowing down on the suet feeder. 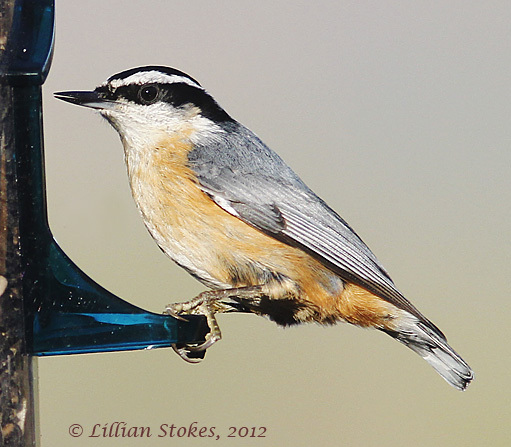 Hairy and Downy Woodpeckers, White-breasted and Red-breasted Nuthatches and Black-capped Chickadees all take their turns. Suet is a great food for winter because it of its high fat content which provides lots of energy for calorie hungry birds trying to stay warm in colder temperatures. 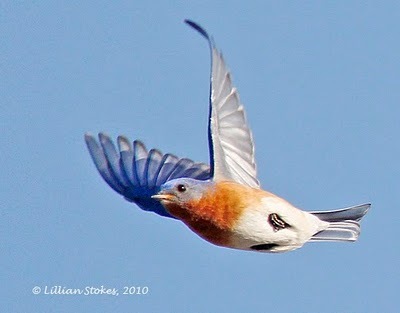 I like the antics of the White-broeasted Nuthatch who hangs upside down. 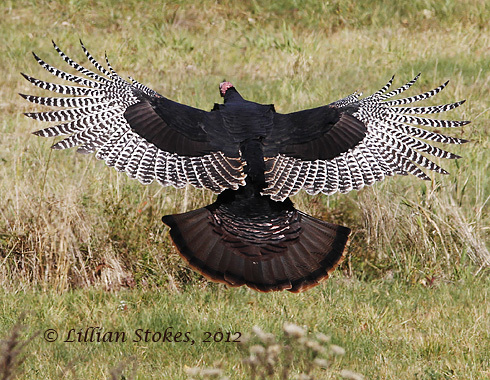 This agile behavior enables it to feed on the underside of tree limbs. 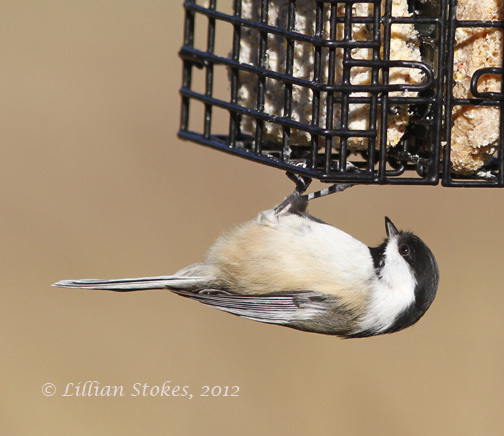 It's fun to just watch how birds feed. 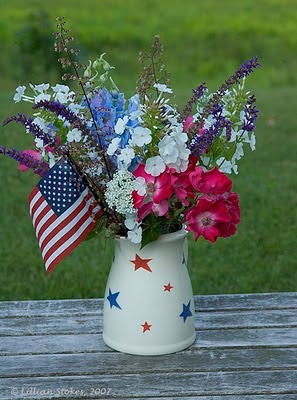 Red, White and Blue Bird, Please Vote!! When I saw 6 Eastern Bluebirds in our field this morning I was struck by how their red, white and blue colors are our patriotic colors, like a reminder that this is the day to vote. Please go vote!! Voting is a privilege and your right, please everyone, go out and vote tomorrow. 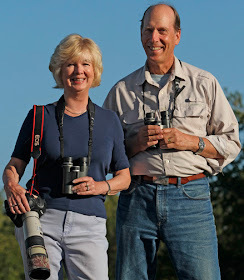 When you do, consider voting for officials whose policies will benefit birds. 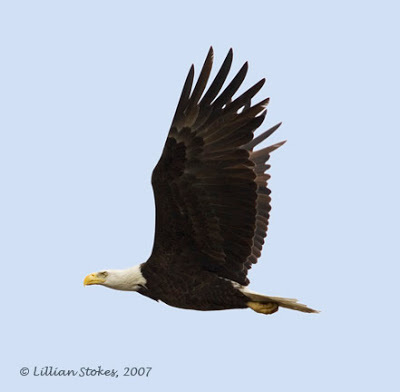 Which Birds Are Most At Risk and How You Can Help! 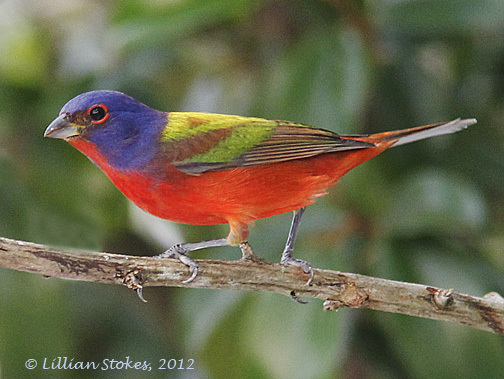 Painted Bunting, these are all on the lists of birds most a risk. 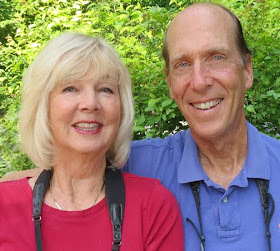 There's an amazing new list of the Conservation Assessment of Total Bird Diversity in the United States Including a Complete List of Birds of the United States with Conservation Rankings. 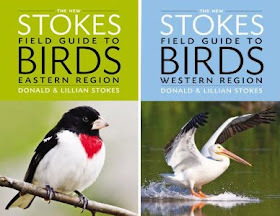 The list is based on a study by the American Bird Conservancy, the first ever study to include the full range of bird diversity in all 50 U.S. states and U.S. dependent territories. 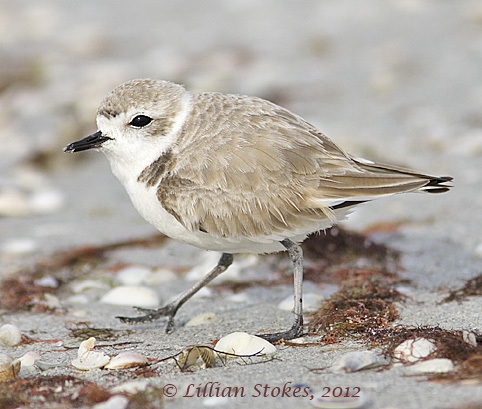 Alarmingly the study found that one third of these birds need conservation attention. 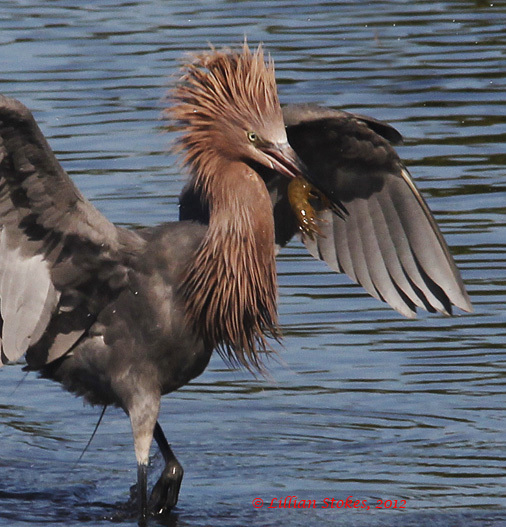 Here's the list of the most At-Risk birds in the 50 U.S. States. 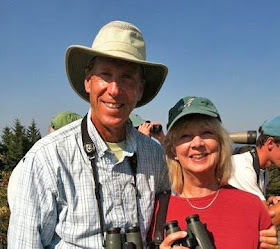 - Join and participate in national, state and local organizations that are working to conserve bird populations. - Keep cats indoors it's safer for them and birds. 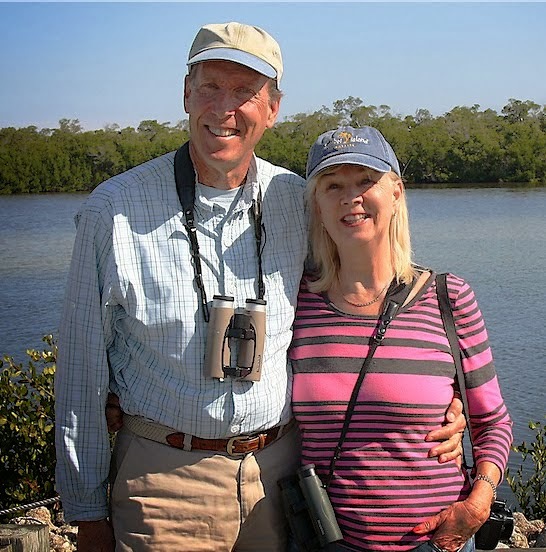 If we all don't help conserve birds, who will? 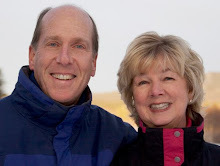 I took this video, with my Canon SX 40 HS point-and-shoot superzoom camera, from inside the house, through the slightly open glass slider, during Hurricane Superstorm Sandy here in southwest NH. 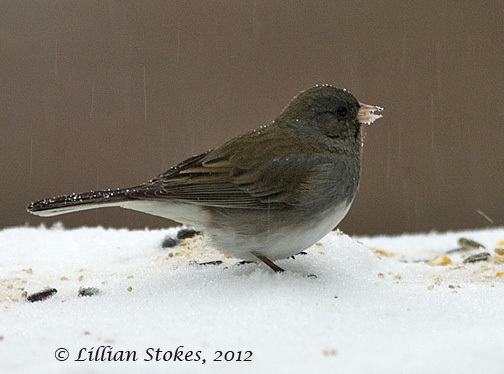 It was really interesting to see how the feeder birds coped during the storm. 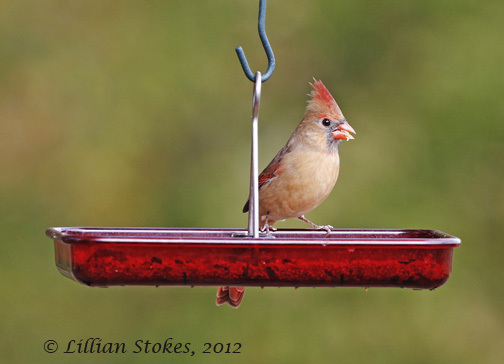 Birds need to eat, so they tried to come to the feeders when they could. The winds were blowing at 20-30 miles an hour during the day, getting much worse, gusting to maybe 50 mph, at night. The birds stayed low in the shrubs and were most protected the lower down to the the ground they were. 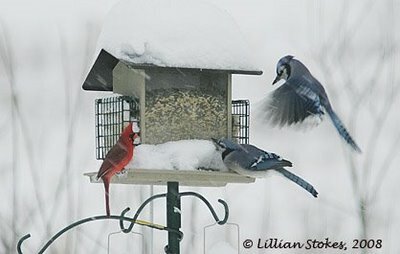 The Blue Jays had difficulty landing on the feeders and one was able to feed on the lee side of the biggest feeder. 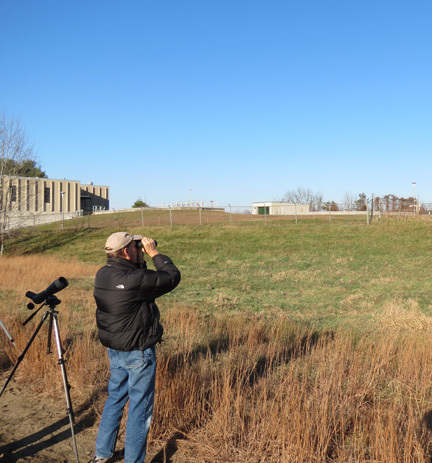 The Mourning Doves, Juncos, White-throated Sparrows and one first winter White-crowned Sparrow (big sparrow with plain face and 2 brown stripes on crown), prefer to feed on the ground and thus were most protected from the wind. By morning, the bird feeders were knocked down to the ground from the wind. 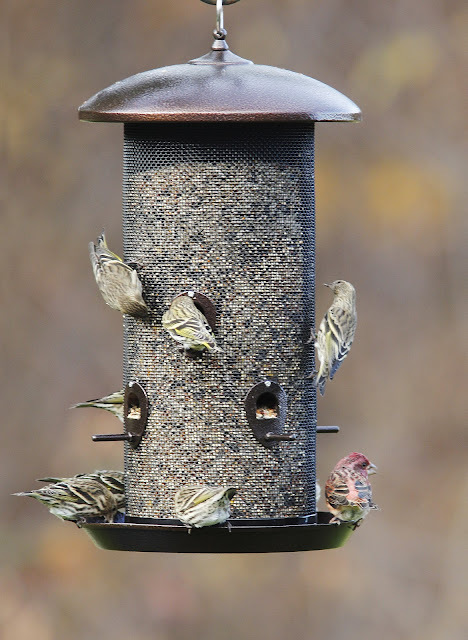 The birds seemed fine and were hopping around waiting for us to upright and fill the feeders. Luckily we had no other damage, and we still had power. Sending positive thoughts for a fast recovery for all who sustained losses due to the hurricane. Take care.